by Leonard J. Hoenig, M.D. 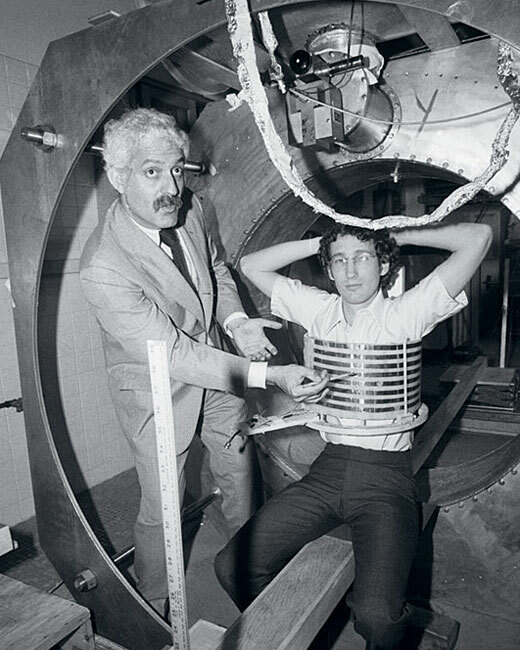 Abstract: 35 years ago, a second year medical student witnessed a watershed moment in medical history: the first clinical application of Magnetic Resonance Imaging. The author, who was that student, now shares this never before told story. Congratulations and best wishes to the Editors on the publication of the inaugural issue of the Online Journal of Community and Person-Centered Dermatology. To commemorate this academic milestone, I am pleased to share with readers the never before told story of the first Magnetic Resonance Imaging (MRI) performed on a patient. MRI is a widely used diagnostic tool in medicine today. In dermatology, MRI can help to evaluate patients with such conditions as neurofibromatosis and other neurocutaneous syndromes. Yet only 35 years ago, this technology was unavailable. During the winter of 1977-78, I was a second year medical student at SUNY Downstate, Brooklyn, residing at the dormitory building adjacent to King’s County Hospital. The city had just experienced some very snowy weather, as I prepared to cross Clarkson Avenue to attend classes at the medical school. As I left the dorm, I saw someone pushing a patient in a wheelchair, from the hospital to the medical school, stuck in the snow. I offered my assistance and helped get the patient across the street. The faculty member pushing the patient introduced himself to me as Dr. Raymond Damadian. He invited me to his office in the medical building to witness “medical history” in the making. I was worried about missing my classes, but was intrigued enough to follow Dr. Damadian to his office. As we entered the room, the most striking feature was a booth to the right of the entrance. The booth had a glass window to see inside to the interior, while the MRI apparatus was external to the booth. The patient was a cachectic older African-American man with graying hair and a scrawny beard. Dr. Damadian made sure he was comfortably placed within the booth. As the MRI process began, I asked Dr. Damadian some questions and he explained to me how MRI worked and how it differed from CT scanning. I was very impressed by Dr. Damadian, who was tall in appearance and very enthusiastic in his explanation. The patient suffered from lung cancer which the monitor displayed in wild fauvist colors, somewhat indistinctly. Dr. Damadian printed a Polaroid copy of the image which he gave me as a souvenir. Somehow this historical item got lost in my move, years later, from New York to Florida, disappearing along with my baseball card and comic book collections! The rest of the story you know. Within a few years MRI spread to most hospitals across the country. Every scientific discovery has a human dimension to it. So it was with MRI. There is the story of the researcher who works many years to develop something important. Then, there is the patient, anonymous, unknown, who willingly cooperated with a research study to help advance medicine. Finally, there often is a medical student somewhere in the background, observing what’s going on. 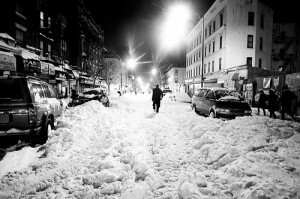 Thirty-five years ago, that student was me, a second year medical student, who happened to be crossing the street on a snow filled day in New York City. By coincidence, I became a small part of medical history and a witness to the performance of the first MRI on a patient. This entry was posted in Hoenig, Leonard J. and tagged Damadian, Downstate SUNY, MRI by ixt1. Bookmark the permalink.